Battlefield 4 attempts, to varying degrees of success, to mix and match all the best aspects from the decade-spanning series. In some places this is brilliant, bringing new gameplay elements together in the moment-to-moment action of Battlefield's multiplayer. The tagline "Only in Battlefield" couldn't be more apt, and Battlefield 4 is sure to spawn increasingly more chaotic tales of "That time when I sniped out a helicopter pilot and jumped in the falling chopper midair and flew off.". There is however a two-steps-forward-one-step-back problem plaguing this iteration. While DICE keeps delivering the best multiplayer shooter around, crafting an interesting and impactful single player experience is still a problem. It's time for them to put a bullet into single player and return to the series' roots of not having a campaign. 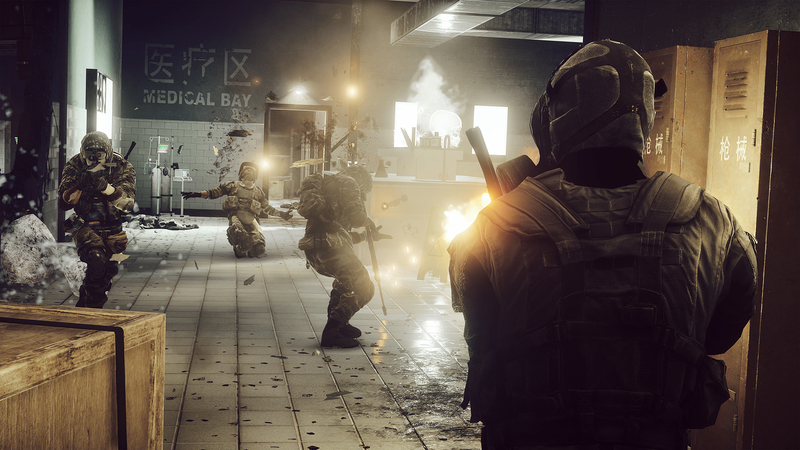 Granted, it's not quite the misfire that Battlefield 3's campaign was - there are a few moments of greatness peppered throughout Battlefield 4's 5 hour campaign. When it remembers it's a Battlefield game is when the single player campaign is truly at its best. There are a handful of sections where the map opens up from tightly scripted hallway shooter to big areas with patrolling enemy troops and vehicles, and how you get passed them is left up to you to decide. Maybe you lay down some mines and try to lure the tank over them. Or perhaps you can sneak around, knife a soldier and take his turret to make short work of the rest of his squad. These sections of freedom, and the absence of rat-killing QTEs, are at least proof that there's been some improvement from Battlefield 3. 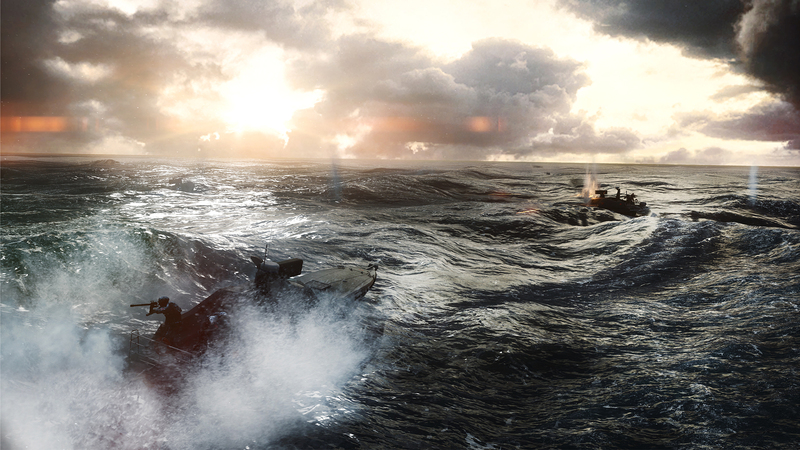 Ultimately though Battlefield 4's campaign suffers from many of the same problems as its predecessor. Sgt. Recker, the player character, might not be as slavishly dependent on his squad mates to open doors this time around, but he does suffer from a classic video game protagonist problem in that buildings and vehicles near him become increasingly less structurally sound. The first time you fall out of a building as it's crashing down around you, it's exciting. When it happens again in a cable car, a bridge and more, it's getting much too routine. 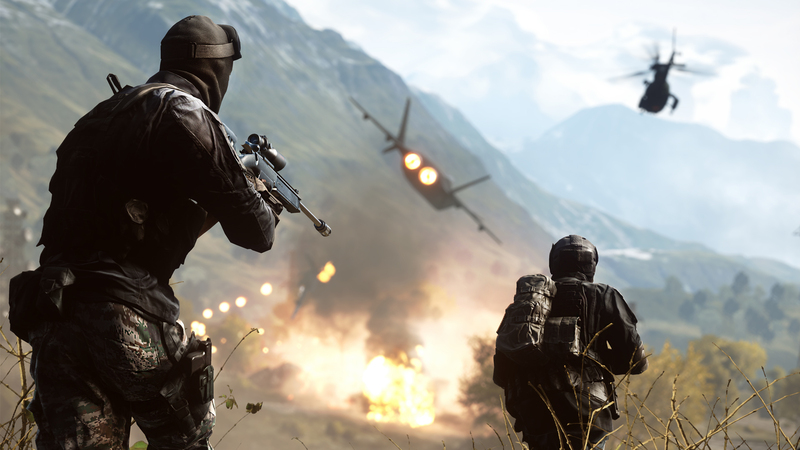 These incidents are not in themselves bad, but the action of Battlefield 4 sits at this uncomfortable middle-ground. 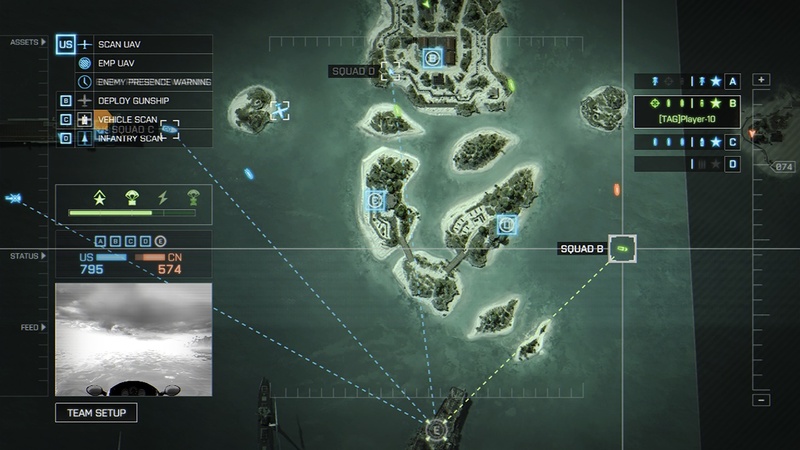 There's a fun eye roll to be had at the spectacle and cacophony when it's dialed up to 11, but it has to be fully committed to and Battlefield 4 stays too grounded otherwise to pull it off. It doesn't help matters that the story and characters are all so one-note and forgettable. China and Russia are up to no good again and it's up to Tombstone squad to put things right. You still spend so little time with these characters that it's hard to care or relate to them. 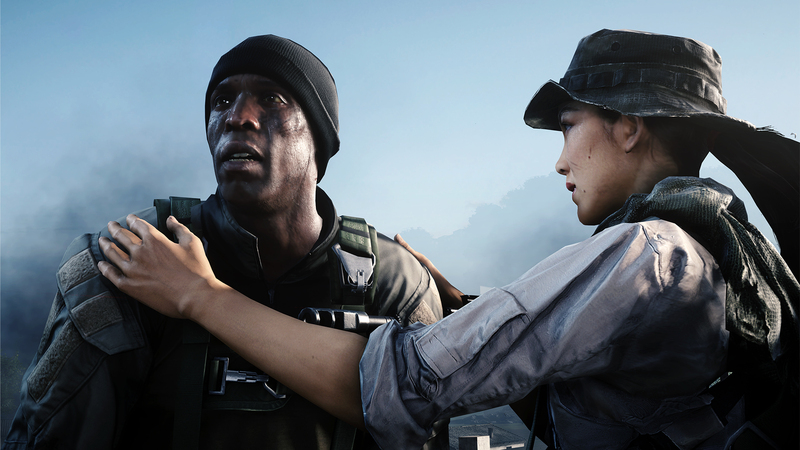 Battlefield 4, like 3, tries to have these emotionally gut-wrenching sequences of choice and sacrifice, but they continue to feel hollow and flat at best, and manipulative at worst. It's hard for these events to have much of an impact when you've only just met the person. Character death can be a powerful motivator when handled correctly, and it doesn't require a ton of backstory but it does need some kind of connection in order to resonate. Further mudding the singleplayer waters is the bafflingly incompetent AI. Often if you're out ahead in the map further than the game expected you'll see the pack of enemies spawn and run to their designated covers, completely ignoring the grenades and bullets you send at them. On the flip side, they will smartly retreat in some instances, but generally at inopportune times; breaking cover to run exposing their back to your fire. It is a little silly for them to go running just to get shot in the back, but at least it breaks up the monotony of some shoot-outs as you wait for enough of them to poke their heads up so you can move on to the next section. Your squad mates are not much better, for instance firing away at long distances with a short range SMG, but there are some light tactical elements in being able to tell your squad to focus fire on enemies in a specific area. This would have worked a little better if most of the game wasn't a shooting gallery and you needed them to hold down a separate area for you, but it still lets you get your flank on while they are pinned in cover.